For some odd reason, we decided it was a good idea to head 50 miles to Kalamazoo to go to Sam’s Club today. For some odd reason, we also took our vehicle that is not 4 wheel drive. Needless to say, we drove nearly the entire way home with our hazards flashing with near white-out conditions and the shopping trip itself was spent carrying our toddler because we failed to obey the nap and threw her scheduled all off. We survived and we are $255 poorer…but with some really finds. Mangoes that have been peeled and sliced are worth every extra penny. But I was a little peeved to get home with yogurt that expired 3 days ago. C’mon, Nicole. Step it up. The only issue with Sam’s Club is we’re $255 poorer and I scratched only a handful of things off my grocery list. At least we’re loaded up on naan, shampoo & conditioner, baby wipes, and Mr. Prevention’s stash of M&M’s and Reeses Pieces (*eyeroll* for the last one). And we got out of the house, surviving the -10 degree wind chill factor. As promised to myself and you, dear readers, my valiant effort to make meals quick and easy is off to a great start. 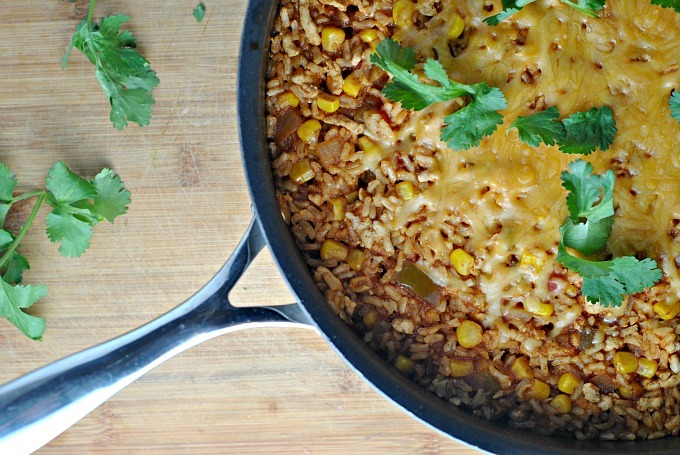 This Turkey Taco Skillet is pretty much amazing and toddler-friendly, too. I dolled up the meal with some 2% cheddar cheese, shredded lettuce, 2% plain Greek yogurt, avocado, and jalapenos. 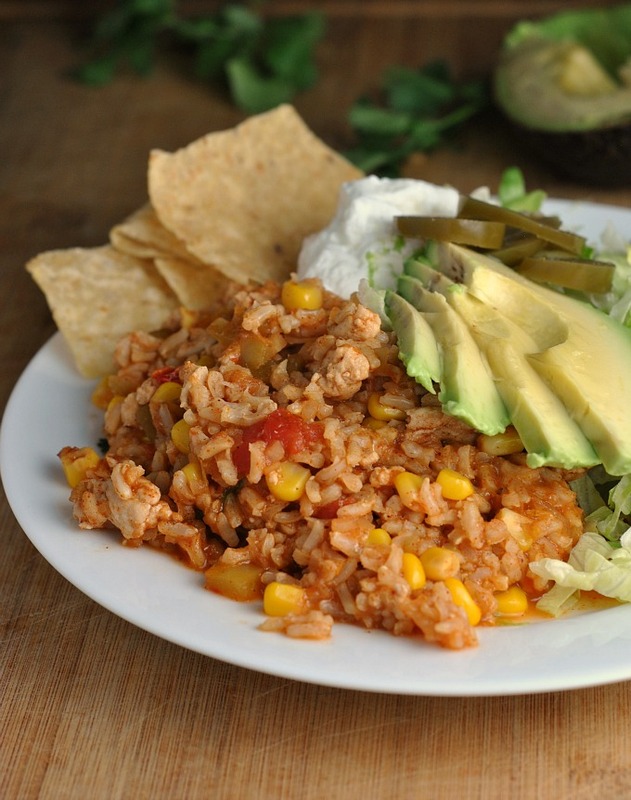 Delicious and beyond quick and easy. I mean, check out that ingredient list. Just a few easy-to-find, cheap staple ingredients! My only complaint with this meal was not enough leftovers. Mr. Prevention actually took Shea’s mini portion one day for lunch. All ½ cup of it. Leftover thievery going on over this one! In a large skillet over medium heat, add the turkey and cook until no longer pink, breaking meat up into small pieces. Stir in taco seasoning mix, water, salsa, and corn. Bring to a boil. Stir in rice. Simmer on medium for 5 minutes. Cover with tight-fitting lid, and turn off heat (keep pot on burner). Let stand 15-20 minutes, until liquid is absorbed and rice is tender. 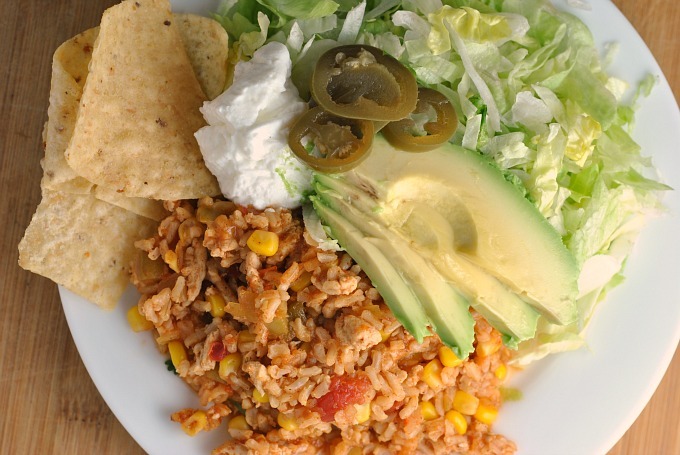 Serve with favorite toppings, such as lettuce, avocado, sour cream/Greek yogurt, jalapenos, cheese, etc! This sounds delicious! I’d definitely double it, I love having leftovers that reheat nicely and are comforting like this meal sounds. I love what a good eater baby Shea is – I hope it sticks with her. Hannah used to eat everything until about age 4. Not sure what went wrong, but all of a sudden stuff she ate dozens of times before she couldn’t stand. Now almost 24, she’s still picky, although she did eat braised short ribs last night! Well, because I chopped the beef up so tiny you could barely tell what it was, but she ate it. I worry about her being anemic or having low iron because of her lack of beef intake. I almost didn’t see the turkey in there. 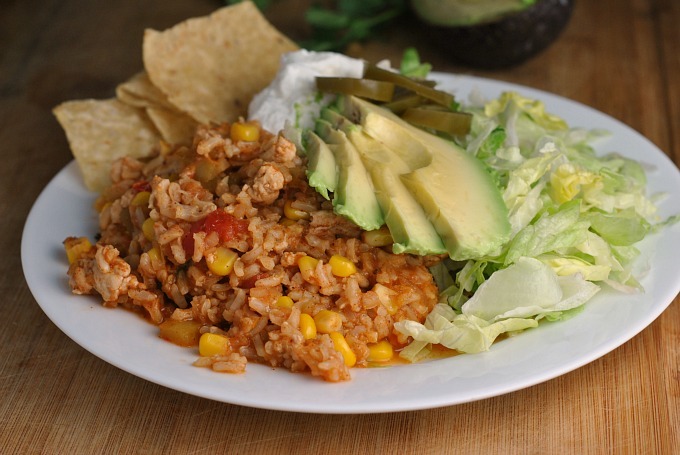 Definitely looks good – I would never have thought of adding the corn into the rice. Do you think it’ll work well in a shell? 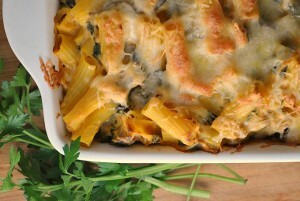 This recipe has become a constant in my meal rotation. I love the short ingredient list, minimal prep and short cooking time. Makes getting dinner on the table easy with a preschooler and infant around. And there is always enough for a second meal of leftovers (=no cooking). 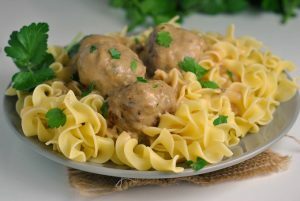 More recipes like this please! !